BRAND EQUITY: YOU DESIGN IT. WE BUILT IT. YOU SELL IT. Interior design is creative art, an understanding and articulation of style, visual balance, color, contrast and form. Great interior design contributes to the client’s sense of well-being and outlook on life. It evokes joy and inspiration. In fact, a well-designed space fulfills a deeper need we all have for beauty and harmony. So the essence of interior design is about people and how they live. The marketplace is changing rapidly: people want natural fibers as part of their lifestyles. White Lotus Home, one of the nation’s leading manufacturers of natural home goods, can help you respond. White Lotus Home can supply a wide range of high-quality natural and chemical-free fibers and fabrics that we handcraft into bedding and pillows, and suitable for curtains or upholstery. We offer turnkey solutions that fit every project. To get started, review our Interior Design Program Application. White Lotus Home manufactures products to assist with the elimination of toxins and harmful chemicals from your home or place of business by providing natural or non toxic options. White Lotus Home sells natural fibers derived from plants, including cotton, wool, Kapok and latex, avoiding those derived from chemical processing, such as nylon, viscose, acrylic, polyester, polyethylene or vinylon. 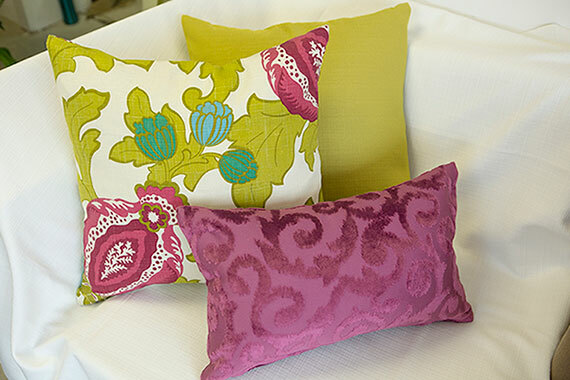 Natural fibers are intrinsically biodegradable and durable and work well as curtains, pillows, bedding or upholstery. Many are effective insulators, too. They are also good at absorbing sound and resistant to static electricity; some, such as wool, will pass fire-retardant regulations without any chemical treatment. However, so-called “natural” fibers are not always what they seem. For example, conventional sheep, unlike the sheep that produce White Lotus Home’s virgin wool, often receive chemical treatments for parasites and graze on pastures that may have been sprayed with pesticides; the industrial processing of wool can also involve harsh chemicals. 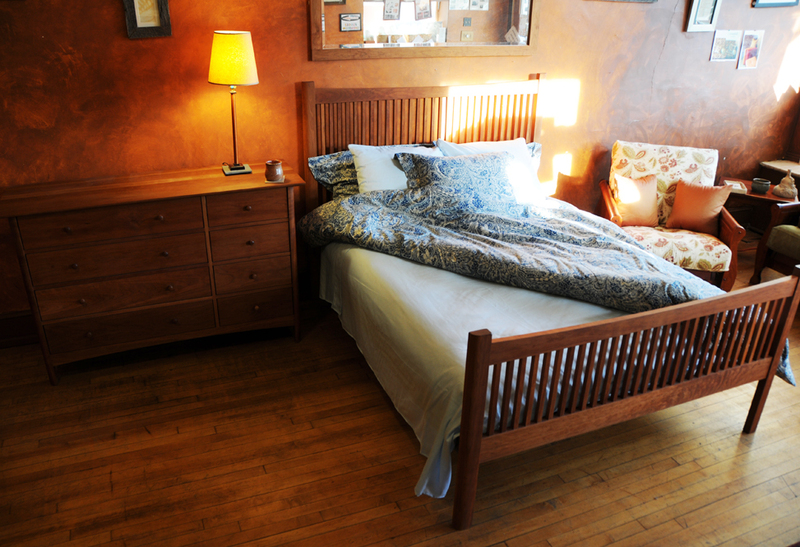 White Lotus Home takes pride in its detailed customer service. We work closely with our Private Label clients every step of the way – from start to finish – to turn your vision into reality. 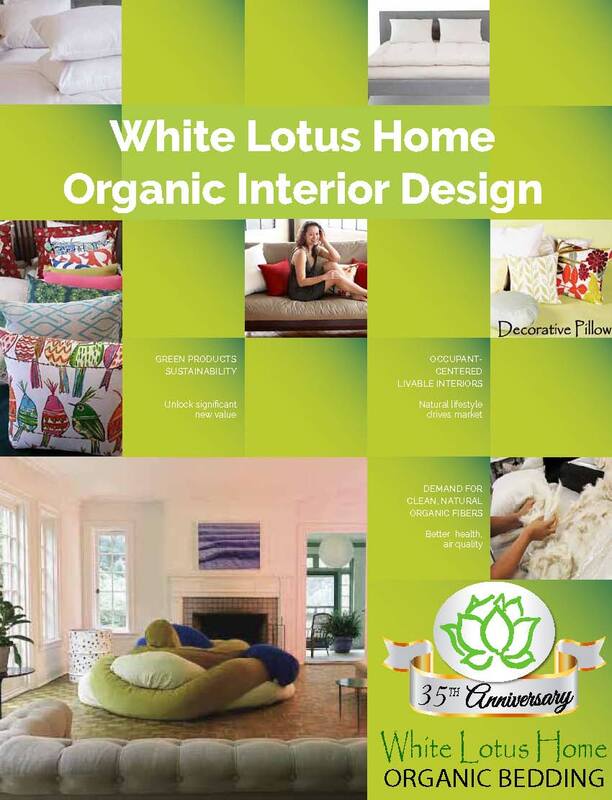 White Lotus Home, founded in 1981, has a team of skilled artisans in our New Jersey plant who create high-quality natural and non toxic products by hand for furniture outlets, bedding stores, massage schools, spas, hotels, nightclubs and natural products stores. We also handcraft items for White Lotus Home at our factory in New Jersey, which supplies finished goods and natural fibers to a network of 100 online and brick and mortar businesses around the USA and Canada.